Blazing trails for parent and hard working adult gamers. A group specifically for gamers 18 years of age and older looking for a casual gaming group free of clan wars, practices, and other obligations. NEW GUNSLINGERS WEBSITE - The Grand Reboot & Free Game Raffle! As usual, the www.gunslingergaming.com will also get you there. I encourage everyone to register a new account (our accounts from our old site will not migrate over, but the old site will soon be readable again for your reference of our collective group history) on the site. By doing so prior to November 1st, 2018, you will receive a First Responder Badge on your account, and you will automatically be placed in a raffle for a chance to win a free full priced game of your choosing. Player Unknown's Battlegrounds Master List! A direct link to the Master List in question is posted below. 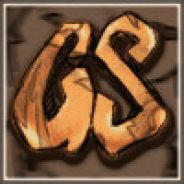 While there, you will also be able to add the game to our GS Games Library feature, which is installed in our forums. anyone gonna be playing the division? Just a heads up for those that may not check the forums too often. We well be have a GS Battlefield 3....reunion if you will tomorrow (10/16/14) starting at 5:30pm PST. All are welcome and lets have some fun!